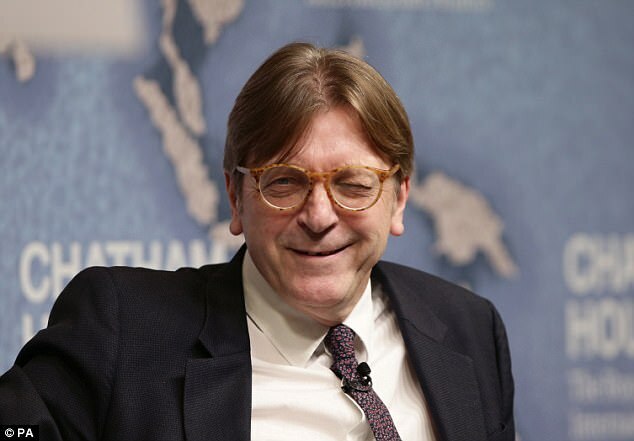 The European Parliament's Brexit Co- Ordinator continues to cause controversy with his Diktat towards Britain and his latest outburst is sure to rile up supporters of a full Brexit as quickly as possible. He has stated there is "no way" the UK can control its borders until after the transition period which will not be until 2021 at the very earliest. He has also criticised the UK for trying to strike its own Brexit trade deals which again he says are not possible until at least after 2021. The result of allowing free movement until 2021 could see an additional 1 Million Immigrants coming into the UK which would put considerable pressure on the UK's already collapsing public services like the NHS and it's crumbling infrastructure. Do you agree we need out the EU now and to control our Borders? Read: "Banks Lying to Customers"
Read: "Sickening attack on young woman by Brother"